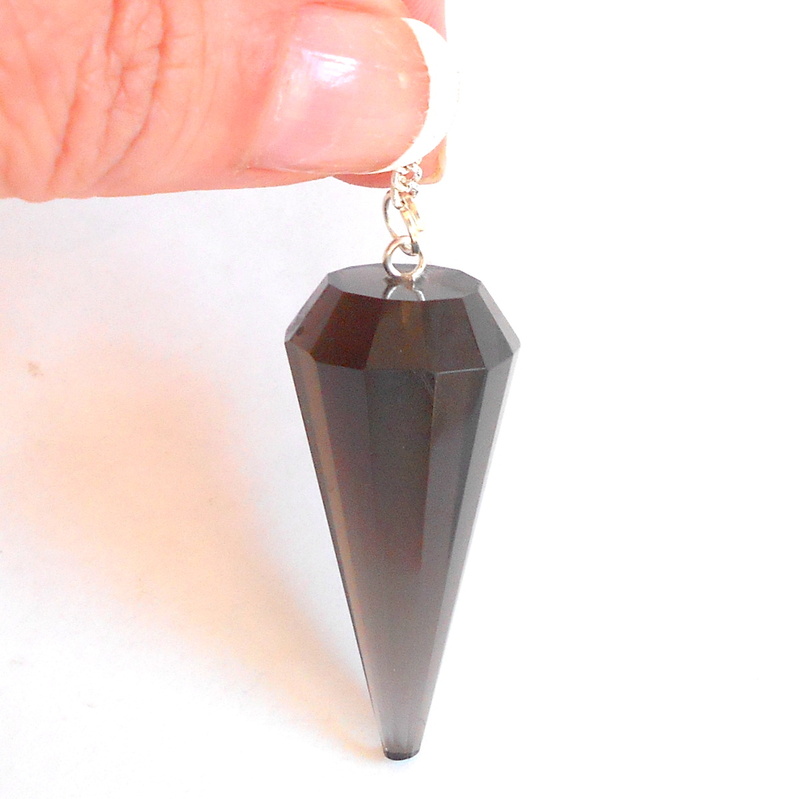 Gorgeous brown smoky quartz faceted pendulum. 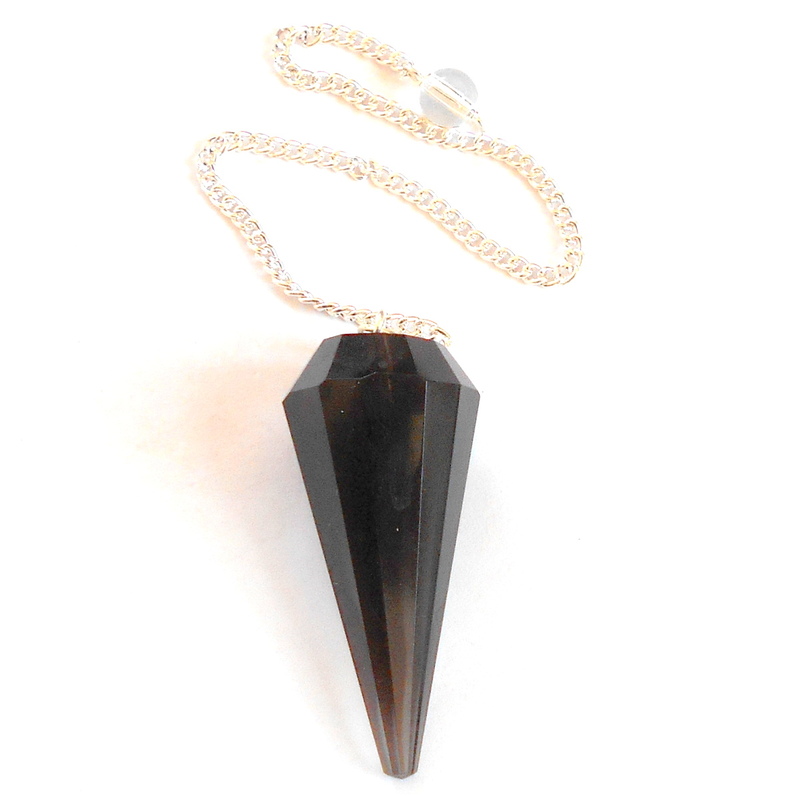 Smoky quartz is an earth element gemstone associated with the root chakra. It is an excellent grounding gemstone that enhances practicality and organization. 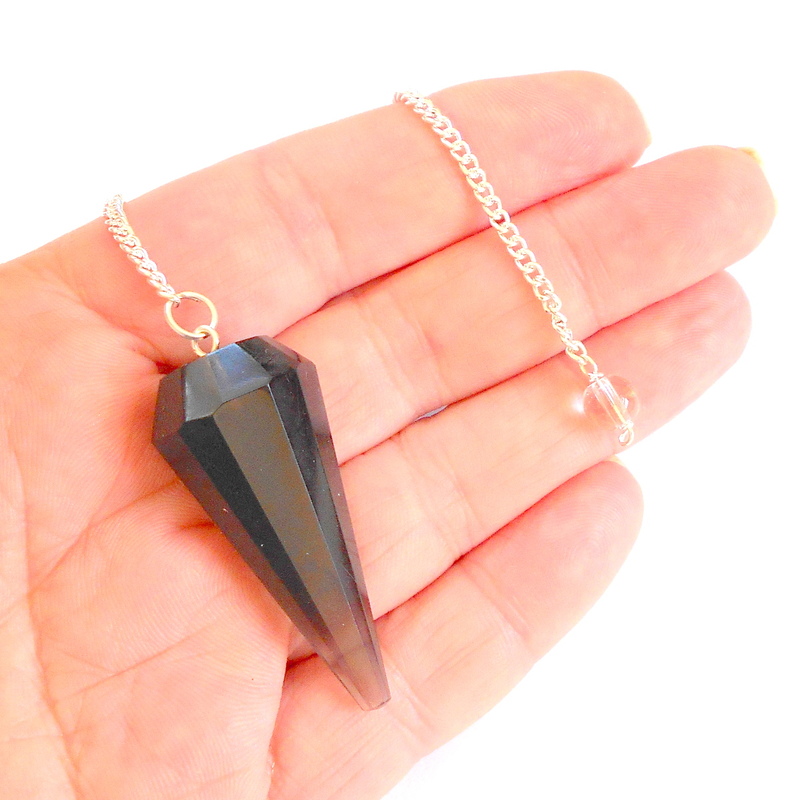 Smoky quartz also offers protection from negative energy in one's environment. 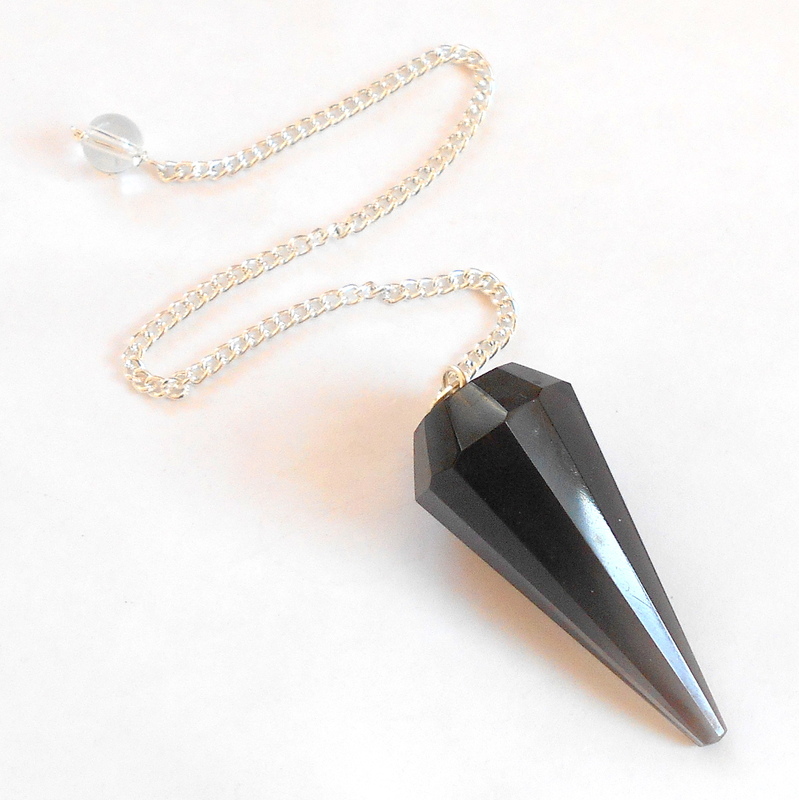 Smoky quartz gemstone is approximately 1 5/8 inch by 3/4 inch. Total length approximately 8 1/2 inches, finished on a silver plated chain.